Fear not if you accidently erase your pictures off a memory card. 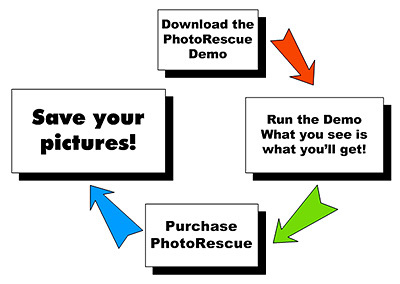 The latest version of PhotoRescue can help you recover those images, even including Raw files from the latest cameras, including the Nikon D700 and Canon EOS Rebel XS/1000D. Just download the demo version (Mac and Windows), see what pictures can be recovered, and if you want them, pay the $29 to license the software. It's great stuff; I've used it myself.